OYAMA was founded in 1966 in Taiwan. In 1980, OYAMA was seted up the 1st complete bike facility in TAINAN City. In 2001, OYAMA the 2nd facility was built up in TAICANG City, China. The facility has integration on the production technology, R & D equipment and testing laboratory to produce the quality bikes. Two facilities work as team from the concept to design, development of molding, welding, painting, and assembling to serve the global client. skilled manufacturing experience, strict quality control, and step by step to build up its brand. OYAMA has more than 160 bicycle related patents. OYAMA is not only focus on comfortable riding experience, but also adapt fashion trend elements on bike appearance. This concept is become the company’s R&D genes. In 2013, OYAMA redefined “fashion”, “sports”, “technology” for brand core value. In 2015, OYAMA gain the permit of zero anti-dumping duty tax as the advantage to cooperate with many Europe and US brand. In the marketing strategy, OYAMA put great effort by expanding of domestic and foreign brand markets and implementation of O2O online and offline sales system. 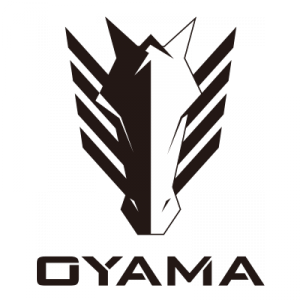 Especially, Oyama is highly involved in related bikes activities and sponsorship events, to increase OYAMA brand image exposure. Oyama welcome the partners who would share our brand core value. OYAMA – half century devoted in the bike industry business, we invite you to join with us.